On Thursday officers with the Lennox and Addington County Detachment of the Ontario Provincial Police (OPP) were conducting general patrol on Hwy 401 westbound. A traffic stop was conducted on a vehicle travelling at a high rate of speed on Hwy 401 westbound near Marysville Road, Tyendinaga Township. The male was uncooperative and refused to comply with police. The male intentionally reversed into one of the cruisers narrowly missing the officers. The driver was subsequently arrested and taken to L&A detachment for processing. Charged is a 39 year male from Oakville with flight from peace officer, dangerous operation of a vehicle, uttering threat to cause harm and two counts of assault peace officer under the criminal code. The accused also faces provincial charges including stunt driving and drive motor vehicle with cannabis readily available. The accused was held for a bail hearing at the Ontario Court of Justice In Napanee. -Acting on information received following a Twitter post earlier this week, officers from the L&A County OPP have arrested and charged a Bath man with property-related criminal offences. On Thursday officers executed a search warrant at a residence on Galt Street in the Village of Bath. As a result of that search warrant, a large quantity of property was seized by police. A 54-year-old man was arrested by police and has been charged with two counts of theft under $5,000 and one count of possession of stolen property contrary to the Criminal Code. 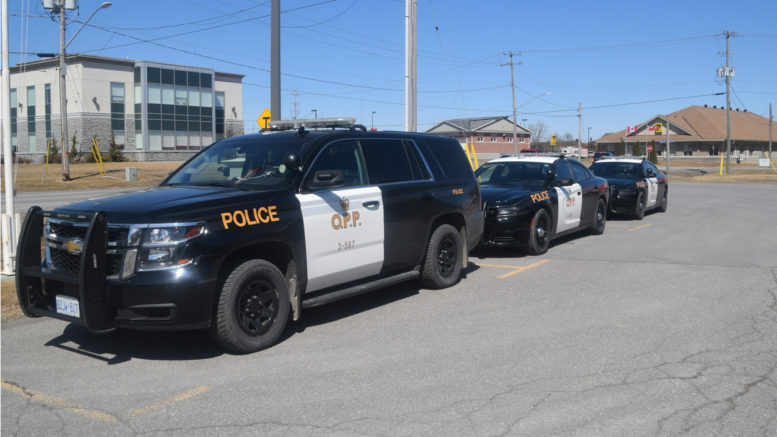 The accused was released from custody with bail conditions and is scheduled to appear in the Ontario Court of Justice in May. The L&A County OPP detachment would like to thank those members of the public who provided information following the Twitter post on Wednesday. The investigation is continuing and further information will be released in the coming days.